Family members are now raising funds on GoFundMe for Jonathan Martinez’s family. 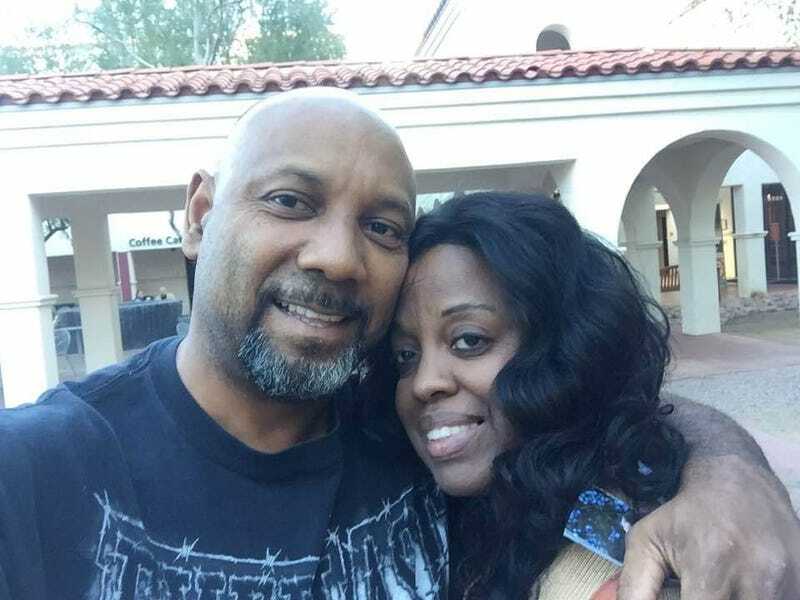 Cedric Anderson, 53, of Riverside, Calif., arrived at the North Park Elementary School in San Bernardino, Calif., on Monday morning, where his estranged wife, Karen Elaine Smith, 53, worked as a special education teacher. According to San Bernardino Police Chief Jarrod Burguan, Anderson was allowed access to the school because he said he was dropping off something to his wife, but once inside the classroom, he opened fire with a .357 Magnum. Along with Smith, authorities say, 8-year-old Jonathan Martinez was struck by the gunfire and died on his way to the hospital. As of Monday evening, a 9-year-old was in stable but critical condition. Anderson and Smith had been married only since January but were already separated for a couple of weeks before Monday’s incident. After killing his wife, Anderson killed himself with the same gun. North Park Elementary will be closed Tuesday and Wednesday, and the school district plans on providing grief counseling for the children and administration. Earlier in February, Anderson posted a video on Facebook about his marriage to Smith. Read more at the San Bernardino Sun.